Outstanding 4K UHD image, 3840 x 2160P resolution, 8.29MP, 806 PPI. Prevents your eyesight from the harm of blue laser, with auto light adjustment system and auto demisting system. 110 degrees FOV, dual 53mm large aspherical optical lens. Built-in 1000Hz gyroscope, acceleration sensor, magnetometer, range sensor, light sensor, only 18ms MTP. Unique design detachable 3.5mm jack headphones, 40mm driver unit, with stereo sound stage virtual 5.1 sound track. Support under 300 degree myopia naked eye watching. We advice you to enjoy the VR headset with wearing glasses if you have the myopia or astigmatism. Lightweight design, feels no pressure after a long time wearing. 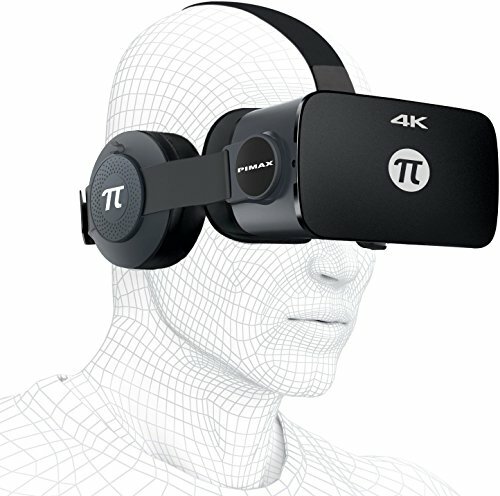 Strong compatibility, piplay independent driver, compatible with Steamvr, Oculus game. Patented low persistence customized 4K panel, it's not full persistence standard panel, so there is no smear issue in Pimax 4K VR. Refresh rate: up to 90Hz in binocular frame technology, 60Hz in monocular frame technology. View More In Virtual Reality. If you have any questions about this product by PIMAX, contact us by completing and submitting the form below. If you are looking for a specif part number, please include it with your message.